Perry Auto Group: Dodge Will Be Well Represented In The New Fast And Furious Film; "Furious 7"
Dodge Will Be Well Represented In The New Fast And Furious Film; "Furious 7"
ELIZABETH CITY, NC – Dodge will be well represented in the new Fast and Furious Film; Furious 7. Dodge is successfully continuing its partnership with the Universal Pictures' franchise, and the film, which stars Vin Diesel, Dwayne “The Rock” Johnson and the late Paul Walker, will feature a cherry red 2015 Charger, a “sublime” green and black Challenger R/T (pictured above), and an armored 2015 Jeep Wrangle Unlimited in prominent chase scene roles. The marketing effort by Dodge will also feature TV spots, a special website promoting different variants of the Challenger, Charger, and SRT Hellcats, as well as a surprising deal with Atlantic Records to solely feature Dodge vehicles in the music videos for the film’s soundtrack (set to be released on March 17). 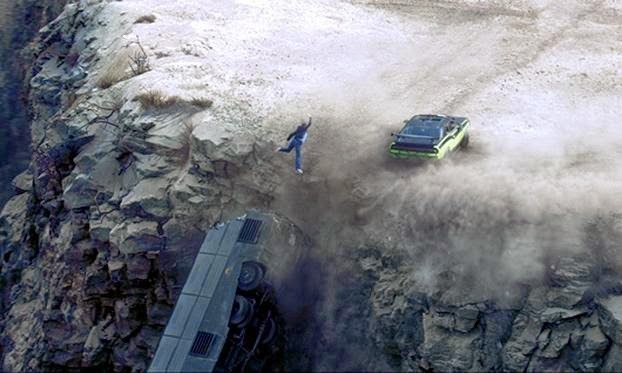 Oliver Francois, Fiat Chrysler’s Chief Marketing Officer, states, “Fast Dodge cars, adrenaline-filled action and heart pounding music have filled the Fast & Furious movie franchise”. It looks like Dodge will be well represented in the new Fast and Furious Film; Furious 7 when it rolls into theaters on April 3, and Dodge even has a special site dedicated to the vehicles featured in the film.